What a WAY to BEAT the HEAT! 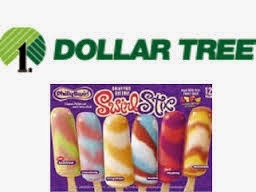 Right now you can score FREE Philly Swirl Frozen Treats at Dollar Tree. You'll need the $1 off Philly Swirl Frozen Treats coupon from the May 18th Smart Source to pick this one up.